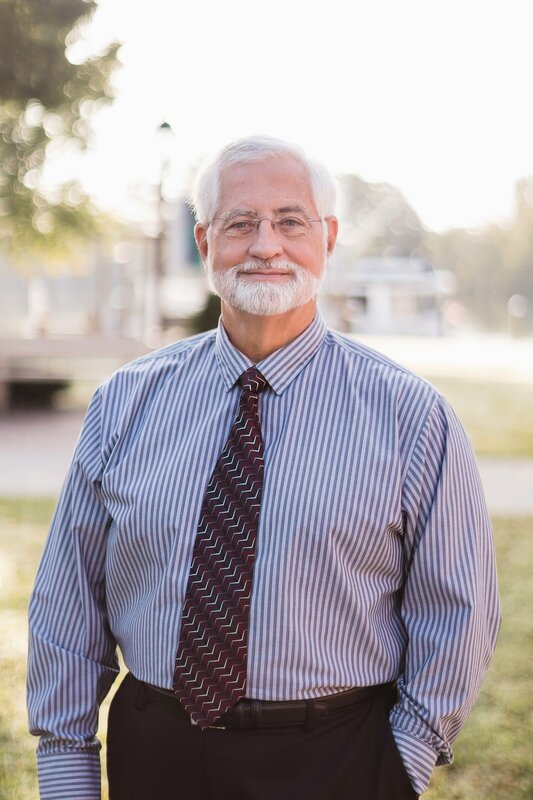 Mr. Woolard is a native of Washington, NC and graduated from Washington High School in 1968 with a record of leadership in athletics and academics. He graduated in 1972 from MACU as valedictorian of his class. He graduated from Lincoln Christian University in 1974, and then returned to North Carolina to join the faculty at Mid Atlantic Christian University. Continuing his education in summer school, Ronnie completed a M.Div. from Cincinnati Christian University in 1985. Versatility has characterized Ronnie's ministry in the classroom at Mid Atlantic as the university's needs over the last four decades have necessitated his teaching a wide range of courses. In addition to his academic load, Ronnie has served MACU in a number of support capacities. He has also been involved in cross-cultural work having taught in India, served on the Board of Central India Christian Mission, and taught in Venezuela where his daughter served as a Team Expansion missionary. Since joining the faculty in 1974, Ronnie and his family have been actively involved in the local church. He has conducted workshops and extension classes in area churches in NC and VA. In September of 1988, in partnership with several other staff members, he led in the establishment of the Towne South Church of Christ where he served as senior minister until the church occupied its first building in 1999 and secured its first full-time minister in 2004. He and his wife, Trish, have two adult children. Tara is on the staff of Team Expansion International Services. Eric is Associate Minister with the Macedonia Christian Church in Williamston, NC. When not working at the college or the church, Ronnie enjoys participating in or watching sports, working on his house, visiting historic sites, reading books about history and participating in Civil War reenactments.